Two specific films in Pixar’s canon seemed least likely to warrant a sequel. One was Up, the other was Finding Nemo. Both had complete stories with what felt like closed loops that would only lend themselves to sequels with the most forceful of contrivances. Not that the rest of Pixar’s stories weren’t complete, they just existed in worlds which begged to tell more stories, unlike the definitive closure at the end of Finding Nemo. So when Finding Dory was announced, I rolled my eyes. It already felt forced. It felt like they were seeking to capitalize on the appeal of a breakout character to market new toys. It felt, even from the title, repetitive and redundant. But when the credits rolled and the lights came up, those feelings couldn’t have been more forgotten. Finding Dory, helmed once again by Pixar veteran Andrew Stanton, who had also co-written and co-directed Finding Nemo, is not only a worthy sequel to its earlier masterpiece, it’s a charming and inspirational exploration of finding family, finding home, and finding yourself. There is a distinct case to be made that the character who is most in need of Finding Dory is Dory herself. The film acts as both prequel and sequel, navigating both forms with surprising ease, as it tells the story of memory-impaired Dory’s sudden compelling quest to locate the family she was unexpectedly separated from as a child. What we learn fairly quickly is that her search began when she was still young, but has been ongoing well into her adulthood (“adult” in fish terms, of course). Due to her short-term memory loss, her quest has often been diverted — most recently by another quest to find someone you may have heard about — so the story unfolds as the audience both watches her seek to be reunited with her family and seek to recall what sequence of events separated them in the first place. What begins as standard, amusing-but-unremarkable animated fare shifts gears midway through the story to begin making subtle but poignant observations about the qualities of family, the definition of home, and most remarkably, the overcoming of disabilities. Anchored by a vocal performance as Dory which Ellen DeGeneres seems born to have embodied and bolstered by a remarkably dynamic performance from Ed O’Neill as Hank the octopus septopus, the film manages to successfully invest the audience into the plight of its characters on the merits of their current needs without having to depend on returning fandom from the first movie. The visuals are right in step with the gold standard Pixar has become known for and the story expectedly yanks out the usual bursts of laughter and tears. But what they’ve managed to accomplish this time around, in a meaningful and heartfelt way, is to write a kind of love-letter to those who have struggled with, or loved someone who struggled with, a disability which threatened to irrevocably define them. Dory’s character naturally centralizes this theme, but she doesn’t monopolize it. The characters she meets have their own challenges to overcome, as do her now-familiar companions, Nemo and Marlin (voiced wonderfully again by Albert Brooks). 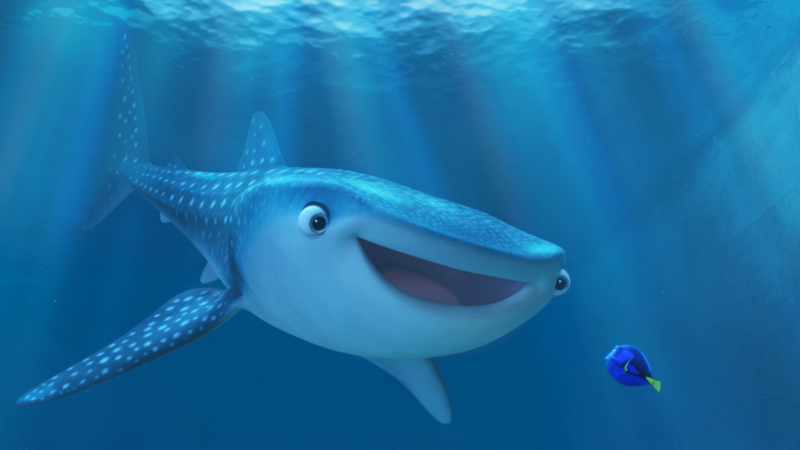 Learning your own limits and how to challenge them effectively is at the heart of Finding Dory and it’s amazing that the film manages to explore this idea in a way that is inspiring without being predictable. The film is as much about finding home as it is about finding what’s been lost, and along the way discovering that the frightening risks we take to find it are nothing when compared to the joys we receive once we get there. By the time the film has all of its thematic and narrative cards on the table, you’re likely to — as my theater did and well before the movie was finished — spontaneously erupt into applause. I know I, for one, am still applauding this film and the little blue fish at its center. I’m thankful for a character like Dory and for the journey she takes. And I’m thrilled for the audiences this summer that will have the chance to find her again.